The ephemeral grilled crab sandwich. Cross your fingers, kiss your St. Andrew necklace and hope it's on the whiteboard at Café Waterfront (102 F St., Eureka) for lunch. 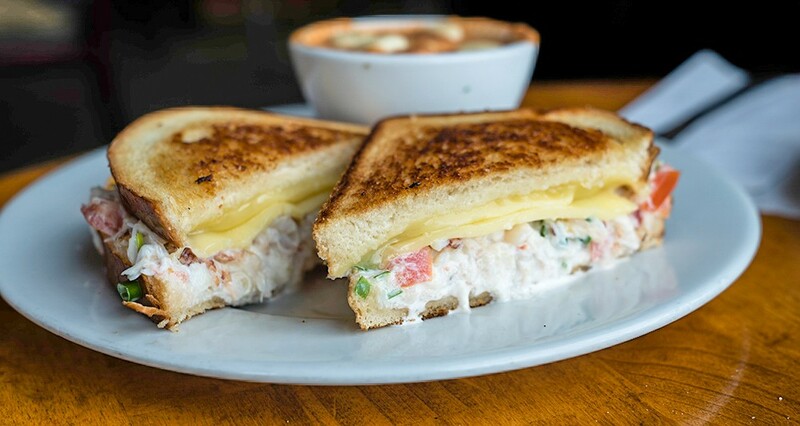 The grilled crab sandwich ($21.95 with soup) is one of few that pleases as much as the standard cold variety. The butter-grilled sourdough is mild enough not to overpower the generous fistful of crab, a mix of body and claw, topped with tomato and jack cheese that's barely melted. Beware: What little mayo is here turns runny enough from the grill to spoil your shirt. Both hands, over your plate, just like your mom said. The Crab Louis ($21.95) is another more vintage option, the recipe harking back to the 1900s, when those of us on the West Coast were more afraid of typhoid than the dish's traditional Romaine lettuce. Café Waterfront uses a mixed garden salad as its base, skips the asparagus and surrounds the crowning crab with hard boiled egg, throwback bean and pasta salads and a pitcher of horseradish-spicy Thousand Island dressing. (FYI, packaged or not, anyone who doesn't pick the first crouton off their salad is a robot.) Even a butter-only extremist might be surprised at how well the house-made dressing brings out the briny flavor of the crab when sparingly applied with the tip of a fork. It's deeply old fashioned but maybe this is the time for a hipster revival. Sit by the window like it's 100 years ago and toast the boats as they pass. 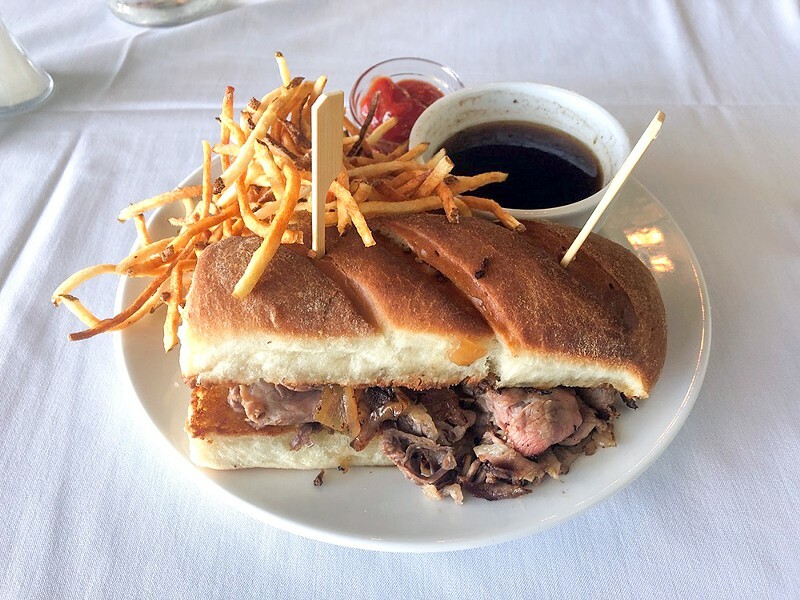 Nowhere is its accent more convincing than at Le Monde (2850 F St., Eureka), where it only shows up for lunch on French Dip Fridays ($13). The housemade bread is not a crusty baguette but a soft, toasted roll in which caramelized onion and paper-thin sliced prime rib are tucked. The meat, pink in spots and edged with browned fat, doesn't need the au jus, juicy as it is and with the sweet onions. But there it is, deep brown in the little bowl and so you dip and it's that much lovelier for the boosted meat flavor without much saltiness at all. There is no cheese, no hot mustard or horseradish here, but they're hardly missed when you're eschewing ketchup and dipping crunchy shoestring fries into au jus. And if that's not already a French custom, it should be. Week to week the variations swing from coq au vin with gruyere polenta to shrimp and grits to Tuscan beef stew with pecorino polenta. 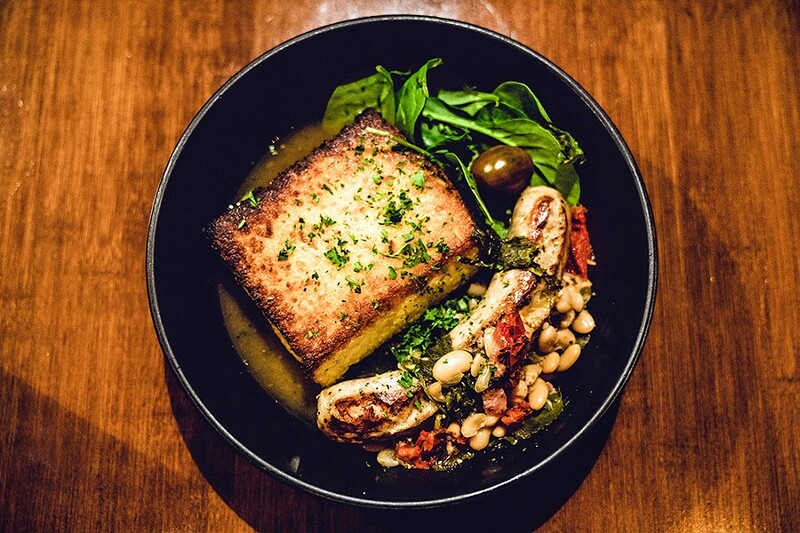 On a recent evening the roasted square of polenta — browned and crisp at the edges with a creamy interior — was placed in broth from sautéed kale, tomato and white beans, beside a boudin blanc sausage. The pale link is made inhouse from a finely ground, peppery blend of chicken thigh, pork shoulder, bacon and wild chanterelle mushrooms. On a cold night, it's exactly the casual take on French and Italian, and it's downright restorative. Nod to your wine-flushed neighbors — you're practically sharing a table with them anyway — who are likely eating the same thing and enjoy the smug satisfaction of belonging to the right kind of club.